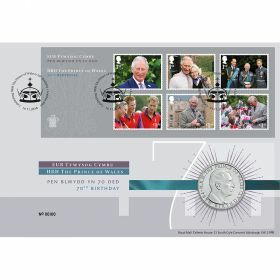 Mark this special occasion with the Miniature Sheet - presented in two horizontal rows of three Special Stamps. 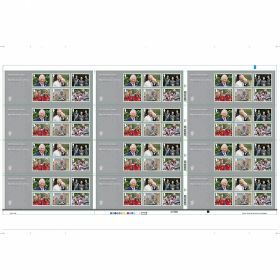 Presented in two horizontal rows of three stamps. 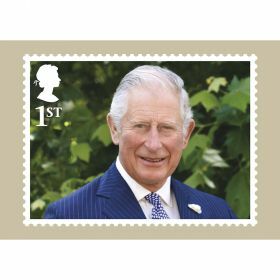 A portrait of HRH The Prince of Wales. 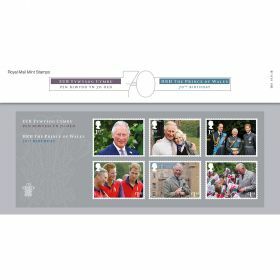 HRH The Prince of Wales with HRH The Duke of Cambridge and HRH The Duke of Sussex. HRH The Prince of Wales at the Castle of Mey. HRH The Prince of Wales greets schoolchildren during a visit to Llancaiach Fawr Manor. 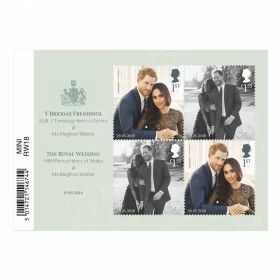 Includes three First Class and three £1.55 stamps.